One of the first Friday posts on this blog was about American Motors Corp., which built cars in Kenosha and Milwaukee until Chrysler bought AMC in 1987. Subtract the Weather Eye air conditioning, aftermarket radio and clock, and this was the view from, well, between the front seats. The Javelin and our much larger Chevrolet Caprice were the cars in which I learned to drive. The Javelin lacked power brakes, though that actually didn’t take that much getting used to. The 304 provided decent power and predictably bad gas mileage. As a pony car it lacked any kind of room in the trunk or behind the front seats. 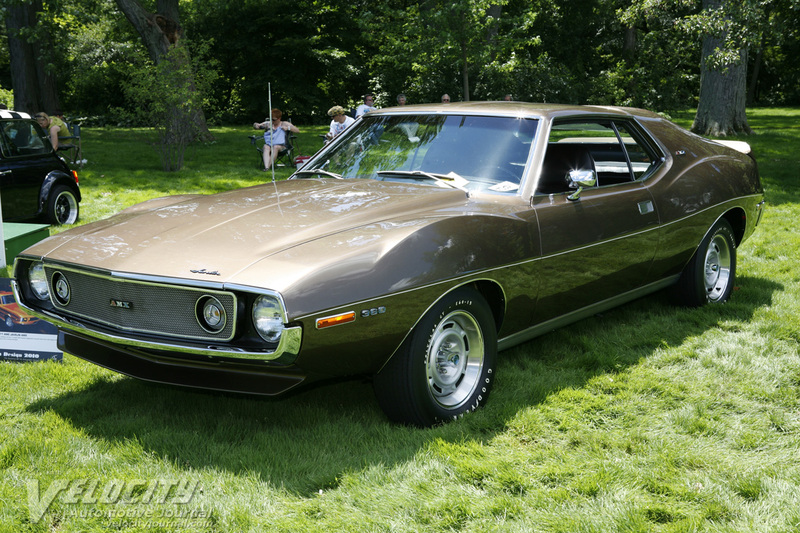 The Javelin was also, it must be said, a poorly-screwed-together car. A trip on a gravel road during a Boy Scout canoeing campout shook out nearly every screw that kept interior parts in their place. In addition to the giant space of nothing where the clock went (AMC was far from unusual in that regard), it had a light underneath the heat controls, but no light bulb or socket. It was also predictably nose-heavy given the iron-block V-8 (there is no such thing as a “small-block” and a “big block” AMC V-8; AMC had three different designs of V-8s, but each generation used the same block, in this case from the 304 to the 401) and light in back. 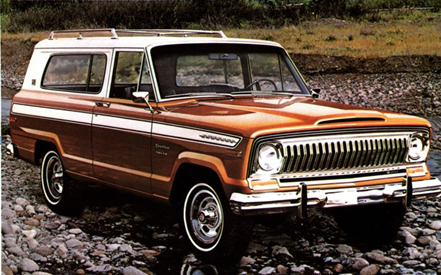 … the two-door version of the four-door Wagoneer, one of which I saw strangely on Halloween. Ringbrothers out of Spring Green, Wisconsin is back with another wild build that was unveiled on Tuesday at the 2017 SEMA show. 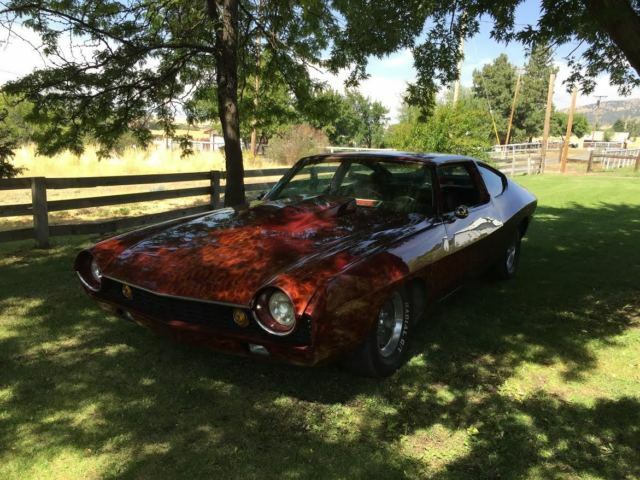 The car is a 1972 AMC Javelin AMX that’s been hit up with a Hellcat engine transplant. However, the 6.2-liter supercharged V-8’s 707 horsepower didn’t suffice so Ringbrothers swapped out the stock supercharger for a 4.5-liter Whipple unit that now sees the engine deliver 1,100 thundering horses! The build was commissioned by antifreeze expert Prestone to celebrate its 90th anniversary, hence the car’s distinct yellow exterior which Ringbrothers likes to call Jalop Gold. That paint, by the way, is applied to mostly carbon fiber pieces. The hood, front fenders, grille, and the front valance all feature the lightweight material. Other mods include a custom 4-link rear suspension, a 12-bolt axle, side exhaust exits, and a modern braking system. Jim and Mike Ring, the founders of Ringbrothers, have treasured the Javelin since childhood so they knew immediately that it would be the perfect blank canvas when Prestone first inquired about the build. With only 3,220 ever produced, this car embodies American muscle car history and even in stock form looks darn cool with its low, wide stance. The build was completed in 12 months, which is relatively quick given the scope of the project. In order to achieve the quick turnaround, Ringbrothers used 3D scanning and 3D printing for the first time, helping them to speed up the development of the plugs and molds. The 1972 Javelin isn’t the only build on Ringbrothers’ SEMA stand. The company also unveiled a Ford F-100 restomod and a 1969 Dodge Charger dubbed the Defector. The F-100 boasts a 5.0-liter Coyote V-8 crate engine, while the 1969 Charger features a 6.4-liter Hemi V-8 engine. Clearly I have to check out this place. (For one thing, it’s not far from the two farm markets we visit most falls.) A Hellcat is not an AMC engine, but other than the Indy-car engine (would you believe 1,100 horsepower from a turbocharged 209? ), I think it’s impossible to get that much horsepower from any AMC engine. Since Chrysler purchased AMC, it’s more accurate than putting in a GM or Ford V-8. … but none, I believe, with supercharged Hellcat engines. Can you imagine what you could do with a Gremlin or a Pacer? A chopped and channeled Gremlin might actually look kinda cool. Watching cars dissolve in the 1970’s Wisconsin winters makes me wonder if there are even any Gremlins left. Maybe the Levi’s model. Which were not really made with Levi’s. Good Lord, AMC cars were pieces of junk. The only thing that kept that company afloat was the Jeep. There was a year way back when that the Jeep was one of the fastest vehicles 0-60 due to its V-8 engine and I imagine a little bit less smog restriction due to its truck classification. I will have to Google it for my own edification.